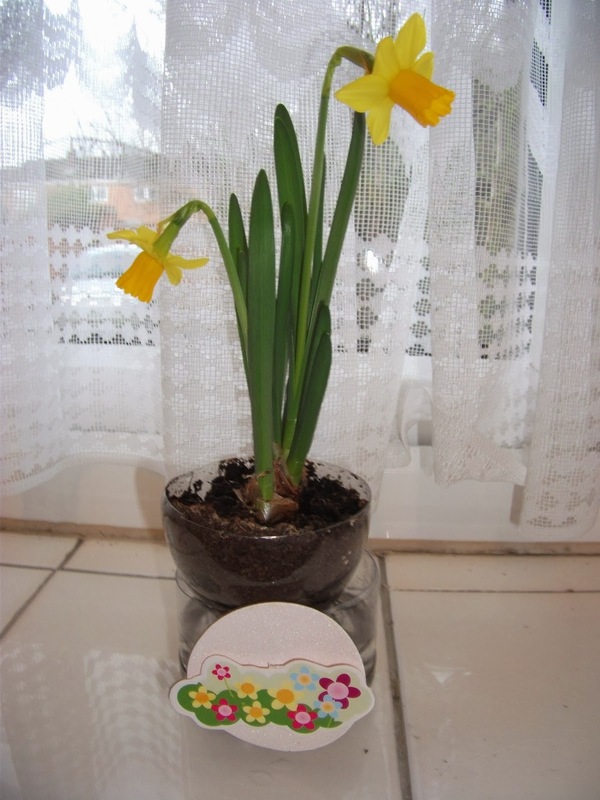 In January last year (2013) I attended a 40th birthday party where all the guests were given a planted miniature daffodil bulb. 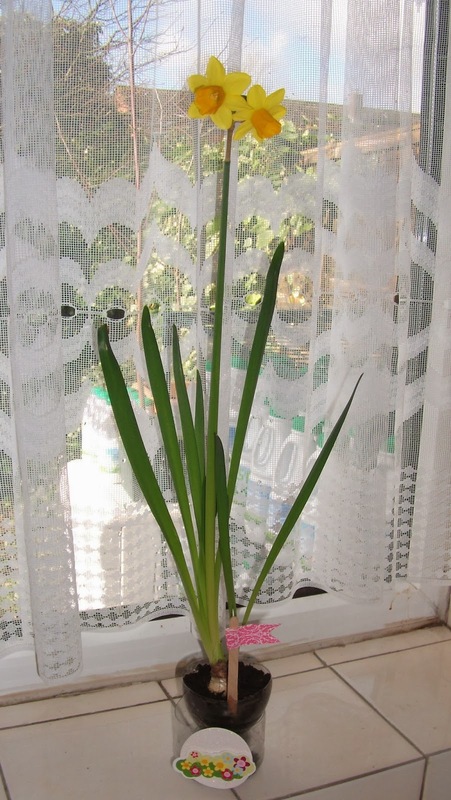 Mine flourished and after flowering was left on the kitchen window ledge in the original pot to overwinter. This year (2014) the bulb has sprung back into life and produced another fine display. 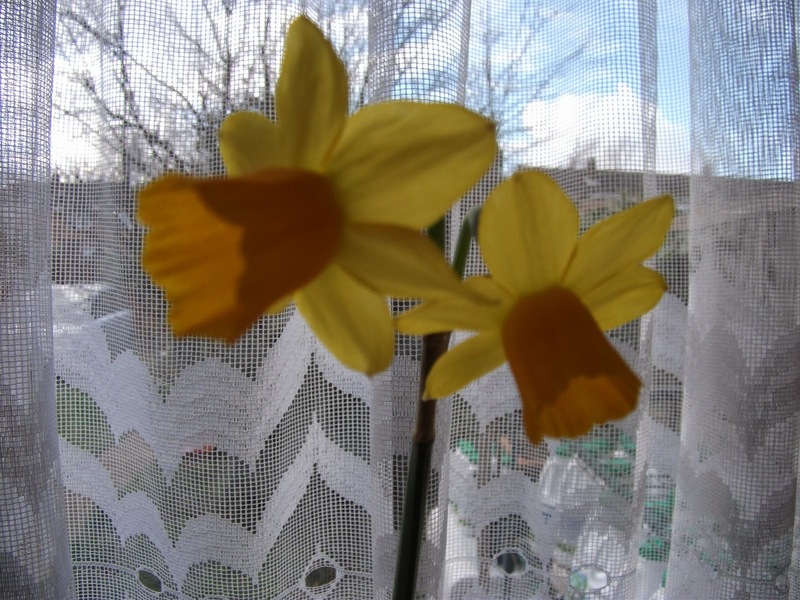 This heralding of spring is a joyful sight after all the bad weather, and the daffodil is a living reminder of a friendship made. Later this month I will be attending the 41st birthday party of the same friend. Wishing her a very happy day and many more birthdays to come.